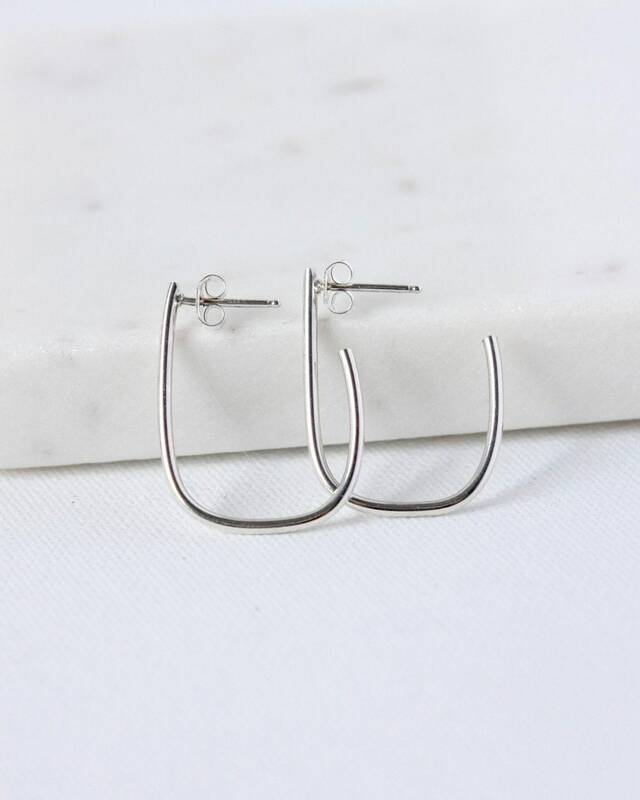 You just can't go wrong with a stylish pair of hoops! 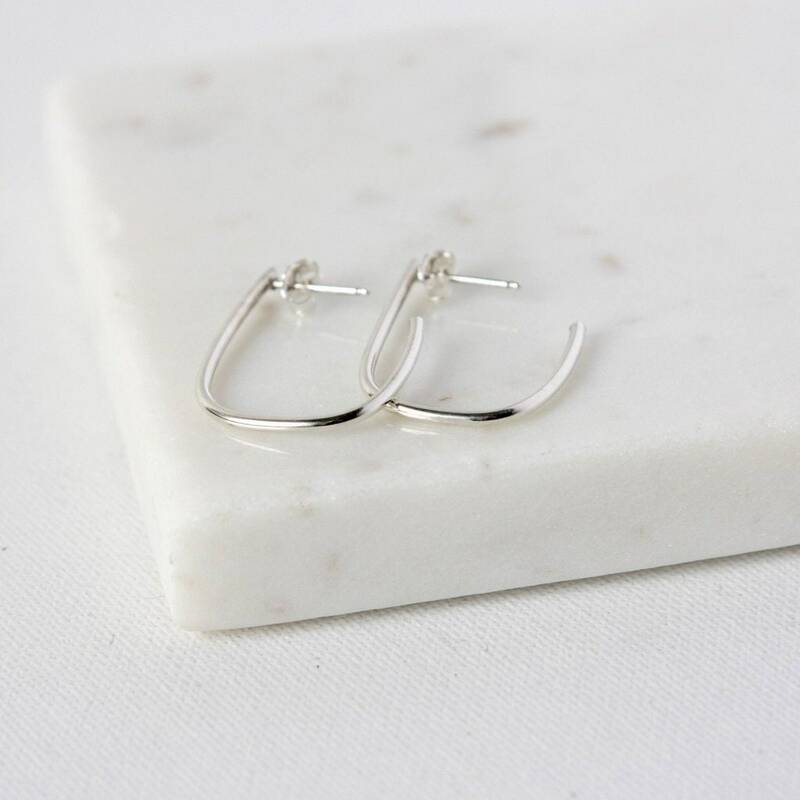 And I think a sleek pair like these transition seamlessly from casual to dressy. 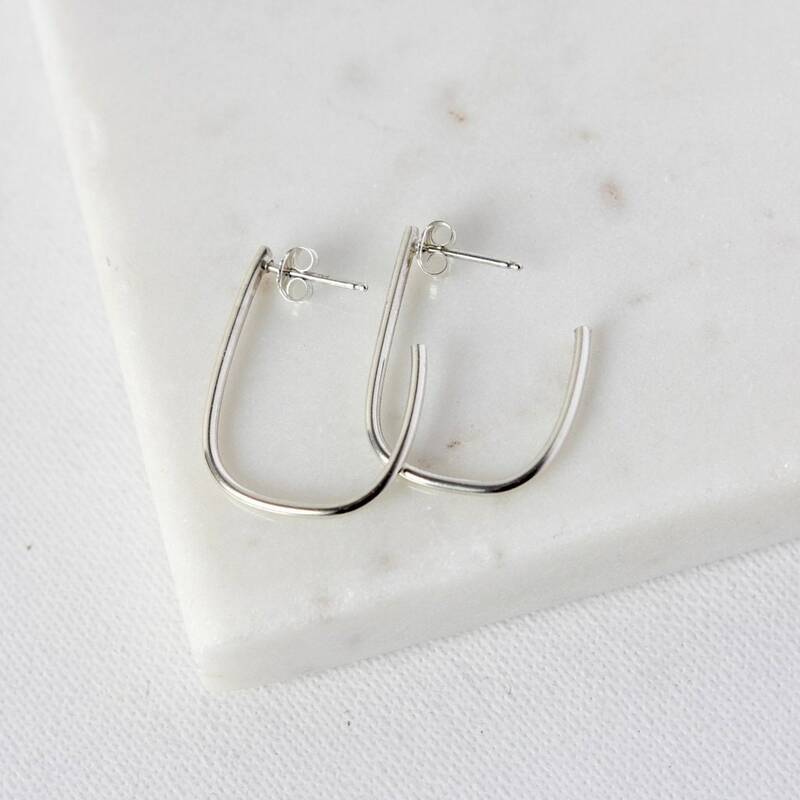 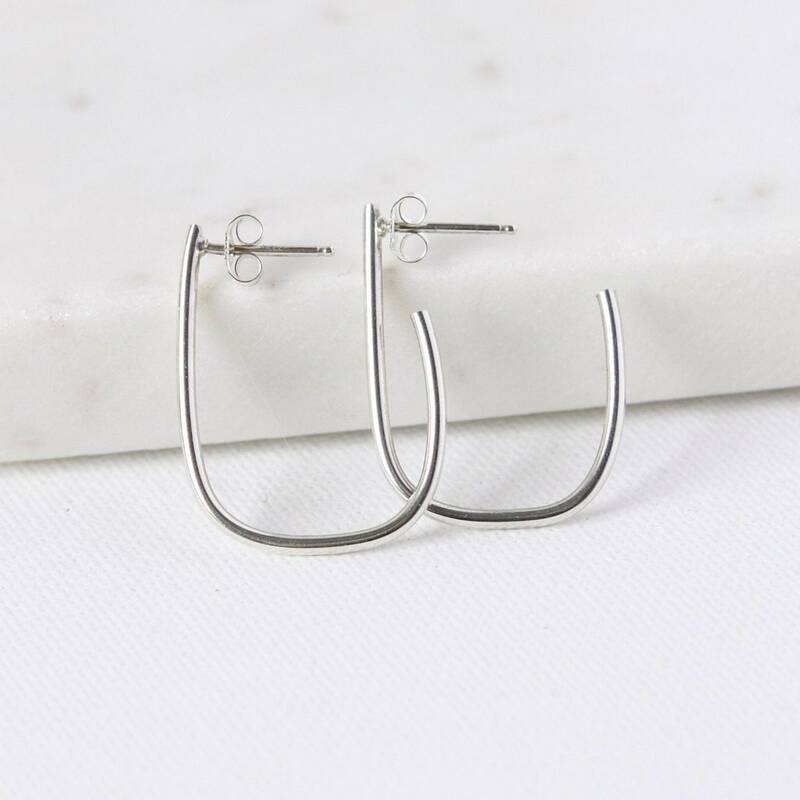 They're made of round sterling silver wire that has been shaped into chic ovals and they are so lightweight and comfortable you'll want to wear them every day. 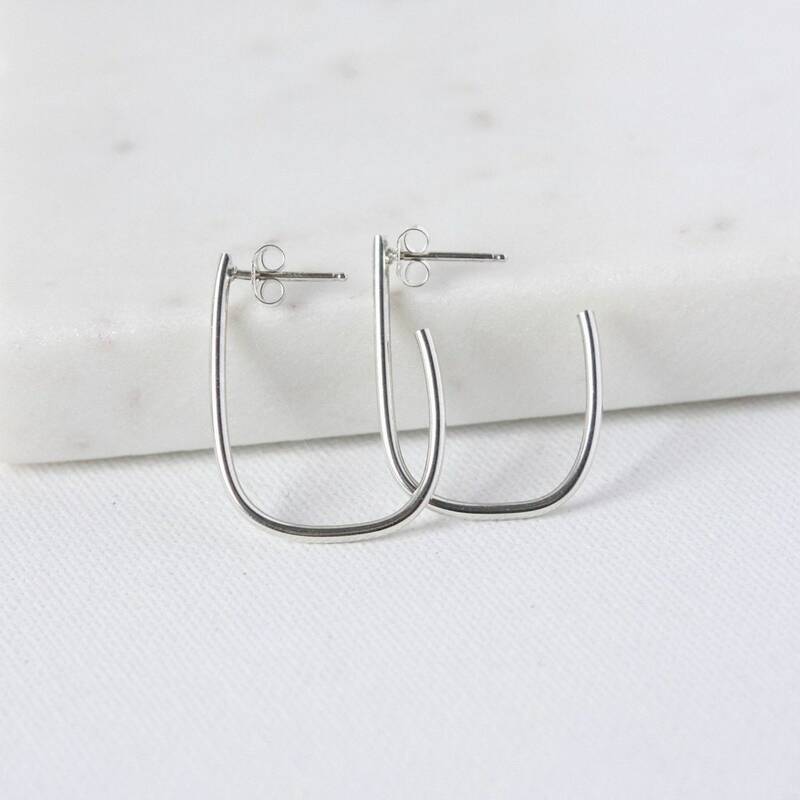 The soldered sterling posts are held in place by sterling silver butterfly backs. 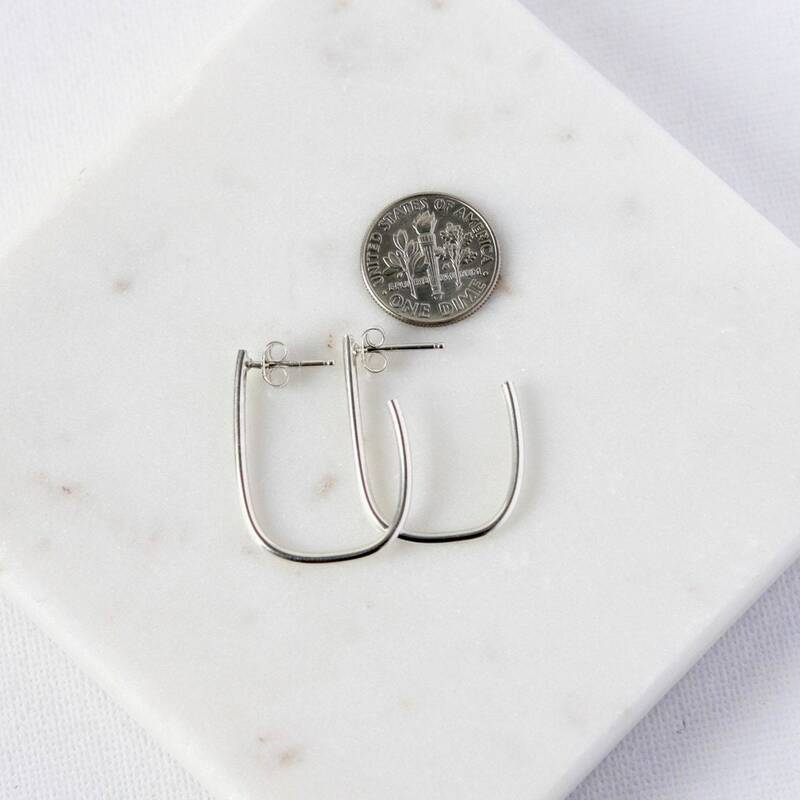 The earrings hang about an inch from the top of the posts and are about 3/4 of an inch wide.